You're finally tying the knot with your best friend, or you've made a commitment to be besties for awhile and be a couple! 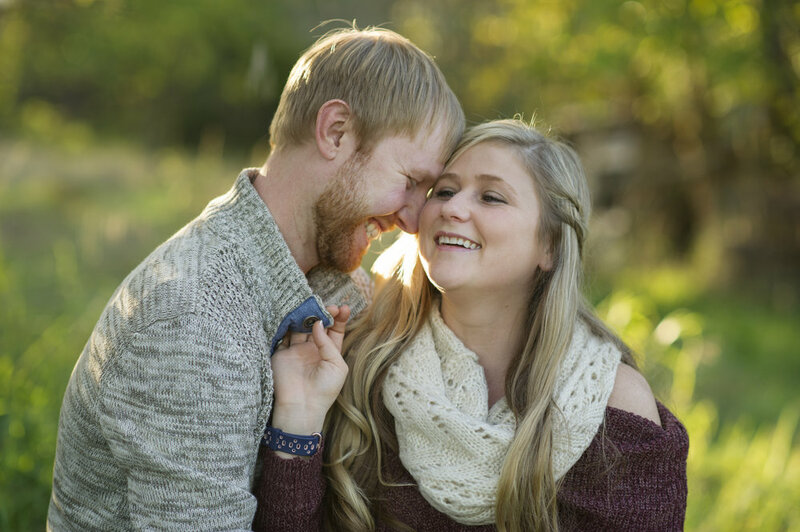 If you’ve been dating for ten years or are newly engaged, we’re excited to welcome you to our farm, near Dorchester, Nebraska to capture the beautiful photos highlighting your relationship. If you’re freshly engaged, first off congratulations, you've made the commitment to have a partner in crime for the rest of your life. Through thick and thin you'll always have someone to walk through life with you and that’s worth celebrating with a milestone like taking photos to remember it. What I cherish most about taking photographs is that I get to capture people in the moment that are experiencing real emotion and the candid shots are hands down my favorite pictures from each session. I love capturing the love you and your fiance share or the budding romance of a happy couple. Here at Dirt Road Photography, our style is laid back, filled with laughter, smiles and is super simple so everyone feels welcomed and relaxed.